Review Context: As a yearly Madden player I have been here through the ups and downs of the franchise. I watch as much football as possible whether it be college or professional ball. The fall of the NCAA Football gaming franchise hurt me because I actually found those games more fun than Madden, but Madden is now the only football game on the market and we cannot change that. 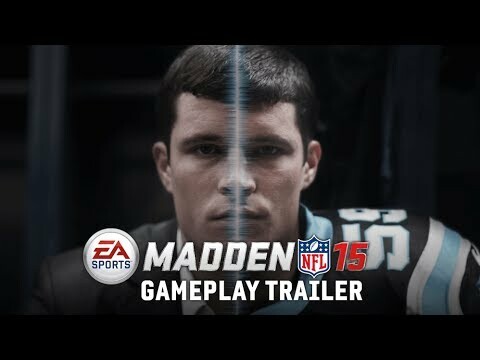 Madden 15 is here and this year EA is declaring it “Madden Season”. This year’s version of Madden shows a lot of new gameplay mechanics and features which are all nice, but as always it seems with every step forward EA manages take a step back with Madden. You cannot turn a new Madden and expect it to be a completely different game. 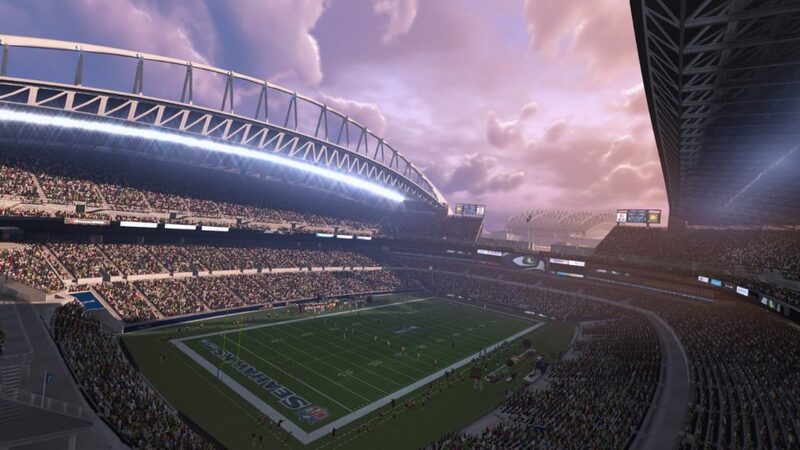 Madden 15 does change a lot from Madden 25. The new play calling system works well especially when you are running a hurry up offense. You can now pick plays from your play book while in no huddle instead of having to just rely on what your had your audibles set to which is a very good thing. But as mentioned before with every step forward we manage to take one back. The play calling system is great, but trying to skip cut scenes can cause you to pick a play you did not want to pick. Plus the play calling menu manages to get really glitchy at times and jump from page to page when you only pressed the direction once. The running game seems to have been upgraded this year and seems to have actually gotten a little more realistic. If you do not follow your blocks at all you will be lucky to gain any yards on a run. EA Tiburon also has spent a lot of time working on the war in the trench. The war in the trenches is the battle between the offensive and defensive linemen. If you play as a member on the defensive line it is now like playing a mini game trying to shed the blocks and get to the quarterback. As soon as you engage the offensive linemen you will see a directional arrow and a button pop up that you need to press to try and beat the offensive linemen. It’s a great addition to the franchise and one I hope they keep in for years to come. Open field tackling has also seen some new updates. In past editions it has been easy to mess up on what should be an easy open field tackle. EA tries to address that this year with a new system which puts a cone in front you as the defender and when the opponent is in that cone you can either tackle them conservatively or aggressively. It seems like thus would be a great addition but it needs improvement. It happens that when the ball handler is in the cone and you press tackle your player will start the tackle animation and just pop back up and this slows you down so much and lets the runner escape with the ball. One of my favorite additions in Madden 15 is The Gauntlet. The gauntlet is a new mode that is found under training and really takes all your skills to attempt to clear all the waves. Each wave seems to be a simple task such as get a first down on this play or hit the wide receiver on a route. But every fifth round there is a boss level and they are ridiculous amounts of fun. Some examples of these boss levels are make this field goal in hurricane strength winds and run from end zone to end zone avoiding defenders on super bowl media day when the field is covered in reporters. Of course with a new year of Madden means a new year of Madden Ultimate Team. MUT is the same as always, there are solo challenges and you can play others online for coin. The auction house this year has seen major overhauls and they were needed. The addition of badge cards to complete sets is a bad addition I believe, simply because sets are already difficult enough to complete now and trying to pull an elite level badge is another major hurdle to jump to complete a set for a good player. I will just come out and say it, Madden 15 is one of the best looking sports games I have ever seen with maybe the exception of the NBA 2k series. When you start the game you see everyone’s uniforms are brand new and look amazing, but as the game goes on you see the wear and tear on the uniforms. The uniforms get stained from the field and the helmets get marks from the other team’s helmets on them. It really reiterates how hard these players play for 60 minutes. There are always still the visual issues in the game such as the ball going through defenders and watching plays that should break the persons arm, but they get up like nothing is wrong. The commentary is done by Jim Nantz and Phil Simms again this year and yet again the commentary is lackluster as always. But the ultimate insult with commentary is that there are lines from last year’s version that have made their way into Madden 15. This is just a sign of laziness on the part of EA. I will never seem to grasp how FIFA has amazing commentary and Madden’s commentary is always a joke. I would like to hope one day that EA addresses this issue but I will not hold my breath. 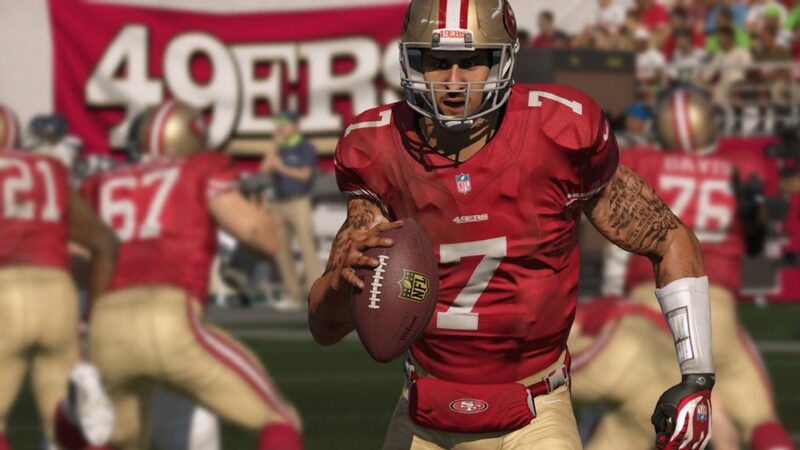 Madden 15 is much better than Madden 25 was and really has me excited for the possibilities of next year’s version. If you skipped last year’s version this is a good time to get back into the franchise.